Human rights violations in Vietnam have continued unabated during its chairmanship of the Association of Southeast Asian Nations (ASEAN) in 2010, according to a new report by the International Federation for Human Rights (FIDH) and the Vietnam Committee on Human Rights (VCHR). 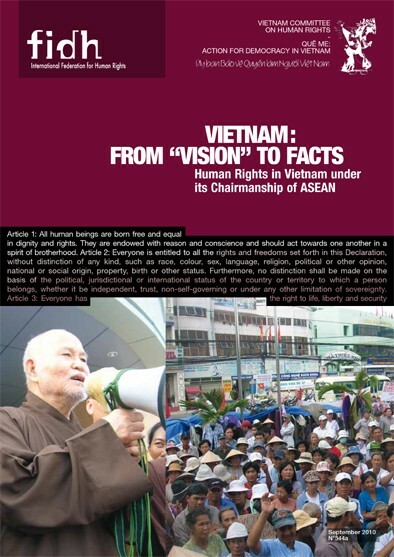 The report, “From “Vision” to Facts: HUMAN RIGHTS IN VIETNAM under its Chairmanship of ASEAN” is released today, ahead of the ASEAN People’s Forum and the ASEAN Summit in Hanoi. The report found that both civil and political rights as well as economic and social rights are being flagrantly violated in Vietnam. Economic liberalisation under a one-party system with no independent judicial oversight has resulted in endemic corruption. The most vulnerable groups, including women, children and ethnic minorities, have benefited less from economic growth and are at higher risk of social and economic marginalisation. Women continue to face various forms of discrimination, including land use, ownership and inheritance rights. The Government has intensified crackdown, in many cases violently, on freedoms of expression, assembly, association, religion and the press. 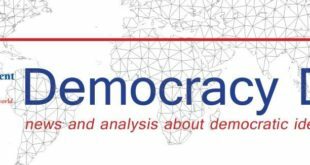 Police routinely harass, intimidate and arrest political dissidents, journalists, and citizens who dare to voice their criticisms of the authorities. 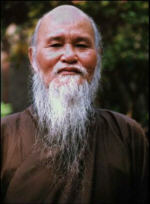 According to statistics collected by the Vietnam Committee on Human Rights, as of August 2010, there are at least 258 prisoners of conscience languishing behind bars, despite frequent public assertions by the Government that there are no political prisoners in Vietnam. At least 17 people are now in prison simply because they exercised their right to peaceful expression on the Internet. There were 749 cases of harassment and intimidation of journalists in 2009. In January 2010 alone, 359 such cases have already been reported. Religions are subjected to a system of recognition and control, and members of all “non-recognised” religions face harassment, interrogations and detention. 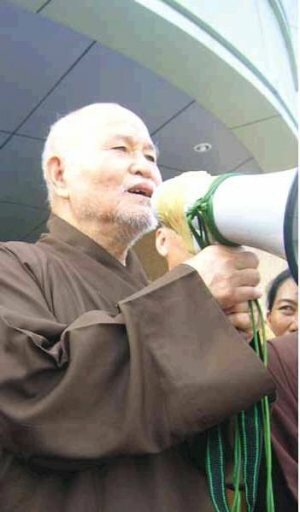 Buddhists from the Unified Buddhist Church of Vietnam, Catholics, Protestants and Hoa Hao Buddhists all suffer serious abuses of religious freedom. The use of the death penalty remains frequent, and related statistics have been classified as ‘state secrets’ since January 2004. In 2010, official sources reported 11 death sentences for the month of January alone. 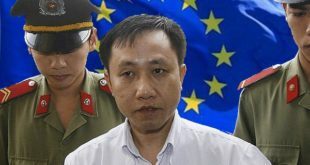 In addition to outright coercion and violence, the Vietnamese authorities are also using the law to stifle voices critical of government policy and actions, in a context of arbitrary administration of justice and the lack of an impartial, independent judiciary. The report details vaguely-defined “national security” provisions in the Vietnamese Criminal Code – seven of which carry the death penalty – which are used to detain peaceful critics, religious followers and human rights defenders. 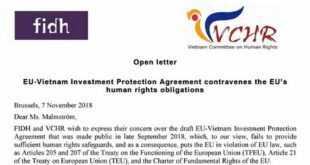 “Despite ratifying seven human rights treaties, Vietnam has done little to implement its commitments under international law and continues to violate fundamental rights of its people at home,” said Ms. Souhayr Belhassen, FIDH president. 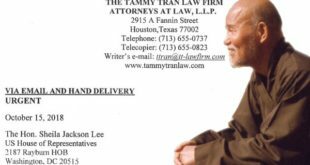 Does Vietnam have carte blanche for crackdown on dissent?